For the 2018-19 school year, there is 1 public school managed by Mountain Boces School District serving 160 students in Glenwood Springs, Colorado. Minority enrollment is 41% of the student body (majority Hispanic), which is less than the Colorado state average of 46%. The student:teacher ratio of 20:1 is more than the state average of 17:1. Mountain Boces School District, which is ranked within the top 10% of all 178 school districts in Colorado (based off of combined Math and Reading proficiency testing data) for the 2015-2016 school year. The school district's graduation rate of 50-59% has increased from 40-44% over five school years. The revenue/student of $113,657 is higher than the state average of $13,179. The school district revenue/student has declined by 22% over four school years. The school district's spending/student of $111,902 is higher than the state average of $12,694. The school district spending/student has declined by 22% over four school years. Mountain Boces School District public schools have a diversity score of 0.54, which is higher than the Colorado average of 0.39. The most diverse school in the district is Yampah Mountain School. 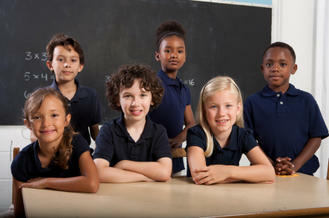 Read more about public school diversity statistics in Colorado or national school diversity statistics.